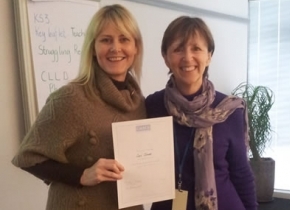 Congratulations to Ceri Jones who has just achieved Catch Up® Approved Trainer status! We’re delighted for her to join the team. Ceri is now a Catch Up® Literacy Trainer in addition to her role as a Literacy Advisory Teacher (Denbighshire Local Authority). You can find out more about Ceri (and all of our trainers) in our trainer profiles on our Catch Up® Approved Trainer pages.